Finish an 18-hole round of golf. Drive a ball 315 yards or greater on an official course. Score an Eagle on an official course. Beat a friend’s course record on any course. Hole the ball from off the green on an official course. Play against a live rival. Land on the fairway or green after striking a tree. Strike the pin while the ball is airborne from off the green. Putt a total of 1 mile. Invite 3 unique live friends to one of your rounds. Finish an 18-hole course under-par having been +3 or more at hole 9. Score a hole-in-one on an official course. 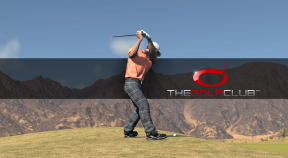 Place the ball 1 yard from the hole from 250+ yards out, on an official course. Play holes totalling length of 500 miles. Hit all greens in regulation in one round on an official 18-hole course. Hit all fairways in regulation in one round on an official 18-hole course. Drive a ball 1,000 yards or greater. Hole the ball directly from a bunker on an official course. Complete at 72+ hole Tour at or below aggregate par. Score a hole-in-one from 250+ yards. Finish a 70+ par course at par or better using only a seven iron. Play 100 unique user-created courses designed by other Members.